Apartments, houses, and commercial areas with small spaces only have a few spots and corners for appliances, furniture, and other valuable pieces. But to use those tight spaces extensively, portable appliances would be a practical alternative. For a reliable and powerful cooling equipment, portable air conditioners would be the ideal option. 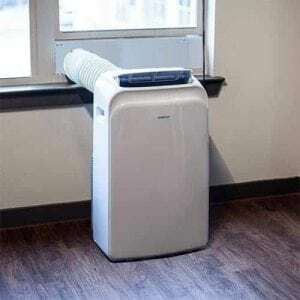 Getting a portable air conditioner for your small space provides two amazing benefits: it saves a lot of room and cools your home sufficiently all throughout the hottest days in summer! Although these units come in a space-saving size, they are loaded with stunning features that make functional cooling equipment. The power electronics, intuitive programmed settings, and cooling output deliver an excellent and long-lasting performance. Most of these units are also crafted with wheels for enhanced mobility that consumers can use to move the air conditioner from one place to another. For a quick relief from the scorching heat, you can let the Koldfront air conditioner cool down your room. It runs with 14,000 BTUs that can maximize the cooling power up to a 500-square feet room. It is portable, compact, and won’t take a lot of space in your room. The sleek design features a soft-touch control panel display where all the essential settings are laid out. The temperature, fan speed, sleep function, and timer are all adjustable. The remote control is also a handy device that allows you to adjust the settings even while you’re watching tv or lying on the bed. 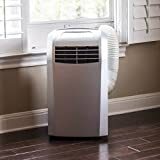 Whether you place it in your bedroom, kitchen, living room, or any space that needs cooling, it will provide the cooling power you need to cool you down from the muggy feeling and intense heat. A lot of consumers even find this unit reliable, quiet, and efficient with long-lasting performance. 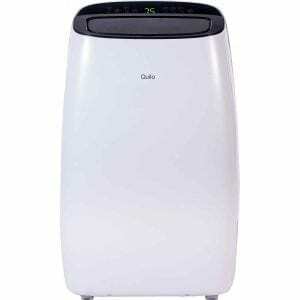 If you want to enjoy the rest of your summer with a cool breeze in your very own home, another option you can try is the Quilo portable air conditioner. 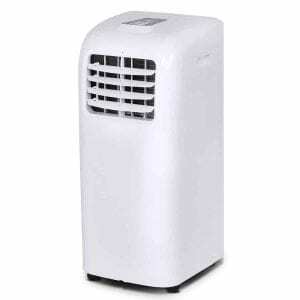 It also works as a dehumidifier to keep the air clean while removing excess moisture. 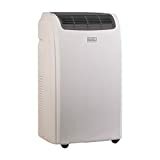 Rated with 10,000 BTUs, its powerful cooling capacity can fill out a room up to 450 square foot. 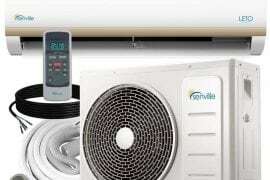 It runs quietly and leaves your room cool and relaxing without all those unnecessary noises. The installation is hassle-free, too. It doesn’t require any complicated set-up, and you can even install it on your own. It comes with washable air filters to keep the air dirt-free and healthy all the time. Although some consumers find it a bit heavy, the wheels are quite handy. It allows you to move the unit to different rooms in your house or office without any trouble. The user-friendly control panel, on the other hand, consists of temperature control, sleep mode, digital controls, and an energy-saving timer. You can also adjust these settings using the remote control. Most users find it difficult to set up an air conditioner at home or where they need to. 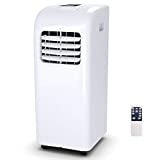 But if you need a portable air conditioner that you can easily install and move to different corners of your room, this sleek and elegant air conditioner from EdgeStar might be the one you need. It saves a lot of space in your home. As it is energy-efficient, you can benefit from its cooling power at a low electricity cost. Rated with 14,000 BTU, this air conditioning unit can provide efficient cooling in a room up to 500 square feet. While it delivers cooling air in a designated room or space, it can also save energy with its automatic shut off, depending on the timer you set. 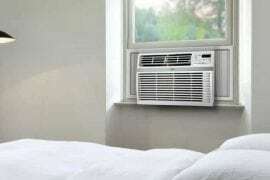 You can set the temperature within the wide rage 62F – 88F and enjoy every bit of cool air in your room. 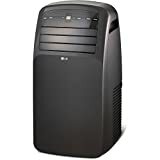 And because it has three fan speeds, it provides a perfect setting for noise and air output. 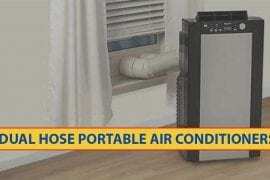 A lot of consumers find the unit as one of the easiest portable air conditioners to set up. Some didn’t even need any tools. But with its easy-to-use window kit, you can have the installation done in no time. You can install the unit as long as there is a place to vent the hot air and an available electrical outlet. Rooms with small spaces are much easier to cool with a portable air conditioner. And if you’re going to get one for your home or commercial space, you won’t need a very high BTU rating. You can consider this unit from Costway. With 10,000 BTU, it can provide efficient cooling in your little haven. The temperature, fan speed, and timer are all adjustable according to your preferred level. You can see all these settings on the LED display panel. The remote control would also come in handy in making adjustments across the room. This unit is crafted with four casters that allow you to move places at ease. You can transfer it from your room to the living room or to a space that you need to cool down. It also functions as a dehumidifier that clears the moisture in the air, leaving you only a cool and clean air in the room. And because it comes in a sleek and slim design, you can just place it in one corner. It saves much space! Some air conditioning units require a lot of draining. 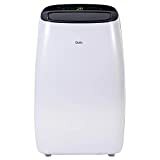 But if you want to do much lesser than you should, this EdgeStar portable air conditioner unit offers a patented draining system that condensates automatically. And to make sure the unit delivers a dust-free cool air whenever you need to, this EdgeStar air conditioning unit has washable air filters and a replaceable carbon filter. It is engineered with three fan speeds. This is a useful option if you want to broaden the air release and fill the room out with cool air. It also provides a setting for noise management although it does operate quietly. You can adjust the temperature and other major settings on the access control panel display. And if you want to transfer the unit from one place to another, the casters will let you do so. 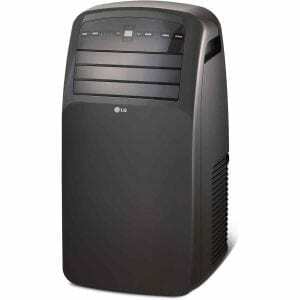 The LG dual hose portable air conditioner is the best choice if you are looking for quality AC. Installing this portable air conditioner is easy. 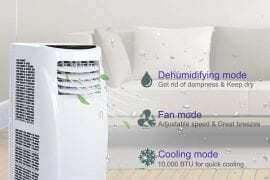 The excellent dehumidification process gives you the perfect climate in a room. Moving this unit anywhere is easy. The 24-hour timer program allows you to set timings when you are not around. It works efficiently when it comes to providing cool air. This unit can work fast due to its 12,000 BTU range. The LCD remote allows you to operate the machine easily. Perfectly designed for offices and rooms of up to 400 sq. ft. This portable AC offers 1.2 pints per hour. It comes with three fan-speed, three cooling speeds, and energy saver mode. 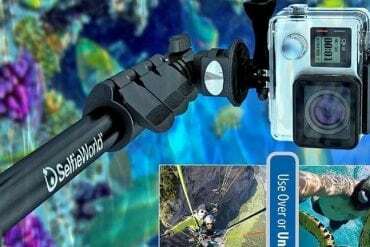 Easy to operate with LCD remote control. To maximize the cooling system in your house in the easiest and the most portable way, the Honeywell Contempo Series has it all worked out. 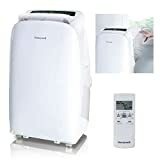 It is a portable air conditioner that can fill out rooms up to 450 sq. ft. with its 10,000 BTU rating. Small it seems, it is powerful and dependable for your cooling needs. With its intuitive controls, you can customize its function according to your preference. It has options for fan speeds, sleep mode, digital controls, and an energy-saving timer. 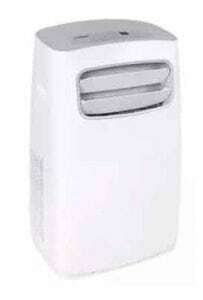 A remote control is also included that allows you to adjust the air conditioner across the room. And to make sure you can use it safely, it is designed with Thermal Overload protection. The dual filters make it durable and reliable for a long-lasting performance. Can cool rooms up to 450 sq. ft. Achieve rapid cooling in your office, bedroom, den, or living room with this compact and easy to set up the air conditioner. Similar to other models from Whynter, this model comes with the self-evaporating technology that recycles the moistures that are collected when cooling the air. The model also comes with a convenient auto restart function, which will restart the system after a blackout and reverts to the previous settings. We also love the twenty-four-hour timer and automatic shutoff, which boost your convenience. This is not all; the model also comes with an antibacterial silver ion filter that not only ensures the cooled air is not only fresher but also cleaner. 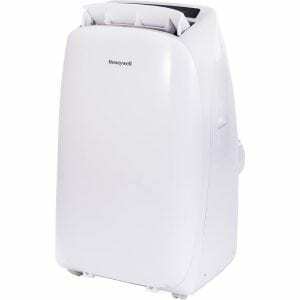 You can also make use of the separate dehumidifying mode that allows you to use as a dehumidifier when needed. Black Decker portable air conditioner showcases precise programmable settings and electronic controls that enable you to adjust the temperature, fan speed, timer, and other significant cooling settings. Rated with 14,000 BTU, it has an adequate cooling capacity that can fill out a room up to 350 square feet. This portable unit can keep dormitories, small apartments, offices, and houses with smaller spaces cool all summer! The installation’s no trouble. It’s actually good to use right out of the box. The vertical motion also provides a stabilized air flow in the room leaving it perfectly cooled. It also has a slide-out filter that you can clean and rinse for a fresher and cooler air. But with the dehumidification modes and fan, you will drain less than you should. It is easy to use and operates without any noise. With the use of the remote control or the control panel display, you can modify the settings for temperature, timer, and fan speed. It all depends on your preference. And if you want to use the unit for another room, you can just let it glide and move around easily with the wheels. 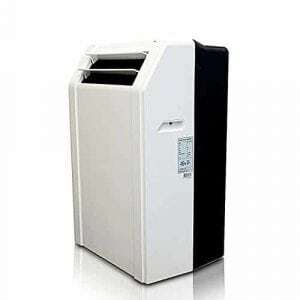 Small rooms that need efficient cooling can opt for this Black Decker portable air conditioner unit. It has a rating of 10,000 BTUs which can cover a room up to 250 square feet. With the use of the innovative electronics and programmable settings, you can modify the temperature according to the level you need. And if you do have a small space to fill with cold air, this unit will definitely do its job. It operates quietly. Because of the fan and dehumidification modes, the unnecessary noise is regulated which results in a much quieter operation. The vertical motion is also beneficial for airflow stability and consistent temperature. But if you want to adjust the settings, you can program it on the control panel or just modify the settings right from the couch using the remote control. It is easy to install. Because it is slim and sleek, it saves a lot of space. But if you prefer moving it around the room, the wheels and integrated handles will keep it mobile. Portability: It is essential to determine how portable the air conditioner is when you really want to save a lot of space in your home. 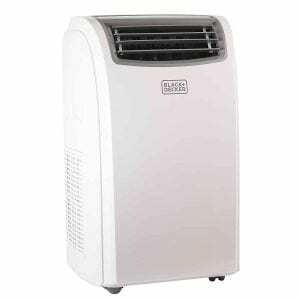 In evaluating the portability, the air conditioning unit should be compact, lightweight and mobile. Such features enable you to take advantage of sufficient cooling without worrying about a heavy lift or a crowded space. The compact size also promotes better and more comfortable storage. Cooling power: Smaller units have smaller cooling capacity compared to centralized air conditioners. But even with their compact size, the comprehensive electronics and programmed settings enable these portable air conditioners to supply a room or rooms with adequate cooling. The cooling power is measured in BTU or British Thermal Unit. This measurement implies that the larger space you have, the higher BTU you need. For portable units, they usually range from 5,000 to 14,000 BTUs although it still depends on the unit. Every manufacturer has their designated accurate measurements for BTU ratings and compatible room sizes. You can check the cooling power details thoroughly, or you can make calculations of your own. Controls: The controls define the programmed settings for temperature, fan speed, and timer. These adjustable settings allow the user to regulate the temperature and speed according to their cooling preference and needs. A remote control would also be very convenient for programming the settings. As every unit has its own set of controls, choosing a portable air conditioner with an intuitive and simple interface enable you to modify the settings with ease. Installation: Portable air conditioners don’t need to have any complicated installation. Most users set it up on their own. They usually come in one piece with just a few wirings to attach. But it is always essential to settle with a unit that does not require complicated and challenging installation and preferably something that you can set up and use right away. Getting through the hottest season of the year becomes quite tough without powerful cooling equipment. But if you have a small space, a centralized air conditioner would be too bulky and might eat up a lot of space. That’s why portable air conditioners are a practical option that provides efficient cooling while saving a lot of space in your room. If you are still looking for the best deals and topnotch brands on the market, this list has the best-selling portable air conditioners you can find on the market. Just remember to consider the cooling power, portability, installation, and ease of use before you settle with a unit of your choice!